Second hardest hitting SDS hammer in its class. 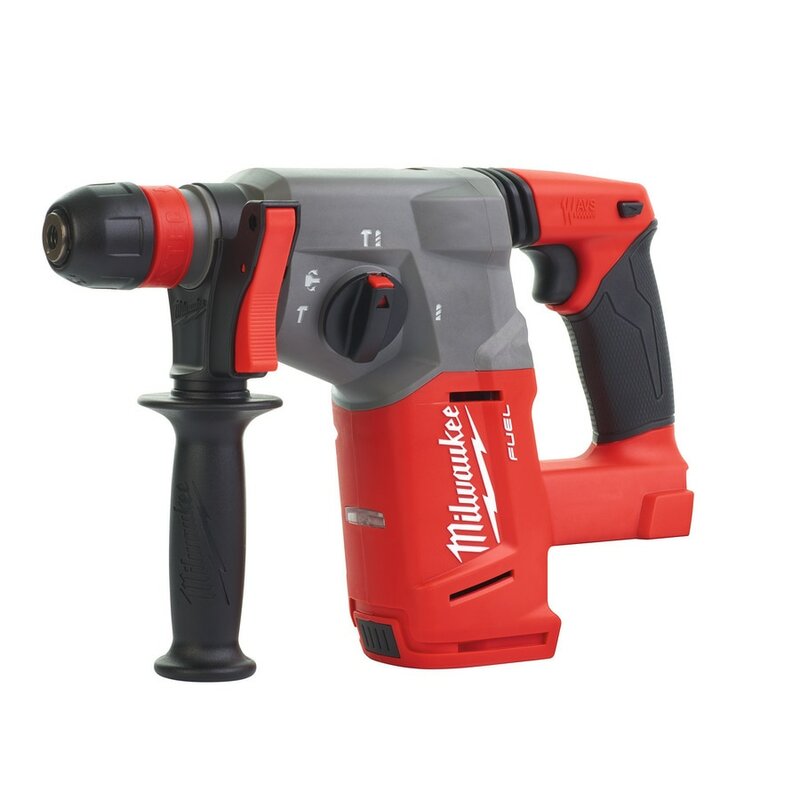 BRUSHLESS SDS-PLUS HAMMER DRILL (for drilling into Concrete upto 26 mm diameter) for Optimum range of 6 mm to 20 mm Diameter drilling into Concrete (5Ah Battery & Charger to be purchased separately) An excellent SDS PLUS connection end battery operated ROTARY HAMMER DRILL equipped with a very high powered 5 Ah Battery packs. Used in most inaccessible remote locations where Power Supply is not within the reach. 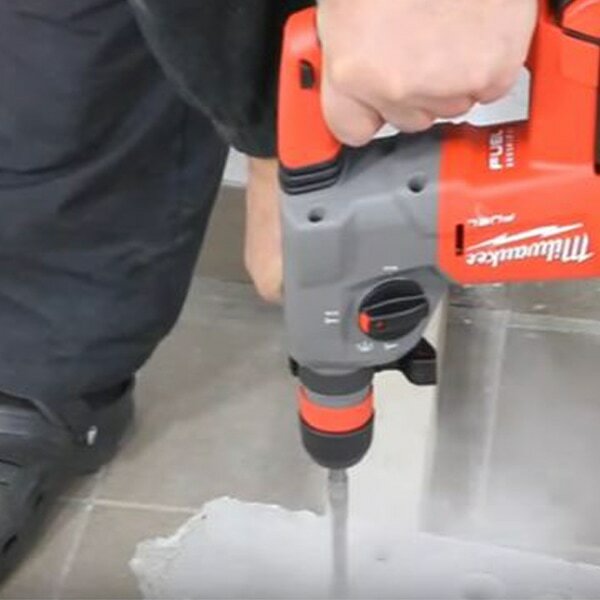 Also where Heavy Duty drilling demands upto 26 mm diameter while Optimum range of drilling is within 6 mm upto 20 mm. It does not come with Battery Pack or Charger. 18 FUEL is engineered for the most demanding tradesmen in the world. 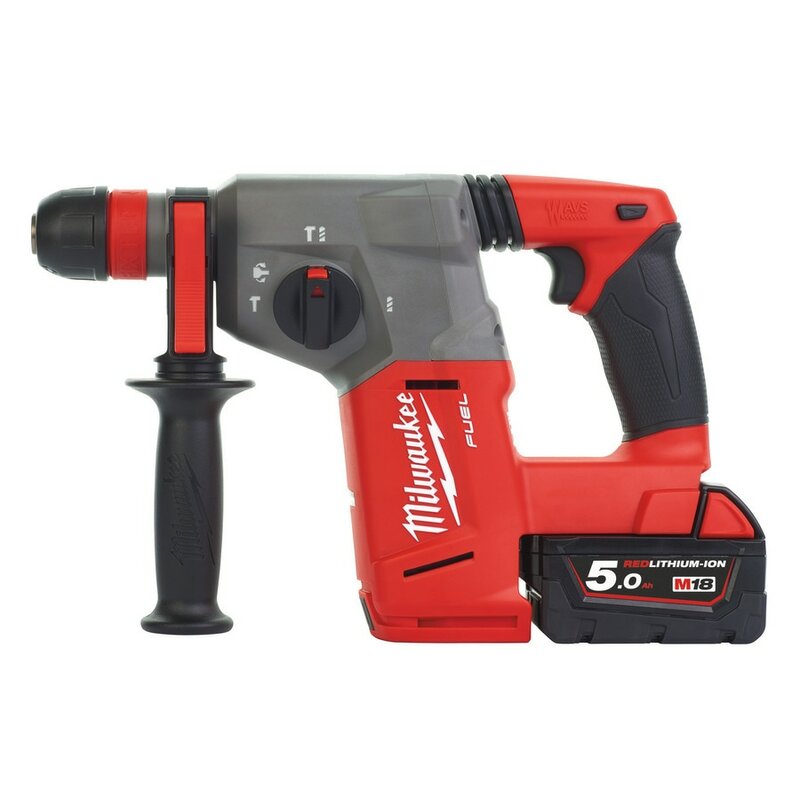 Delivering unrivaled performance in a compact structure, all M18 FUEL products feature three MILWAUKEE exclusive innovations the POWERSTATE Brushless motor, REDLITHIUM Battery Pack and REDLINK PLUS Intelligence Hardware and Software that deliver unmatched power, runtime and durability.